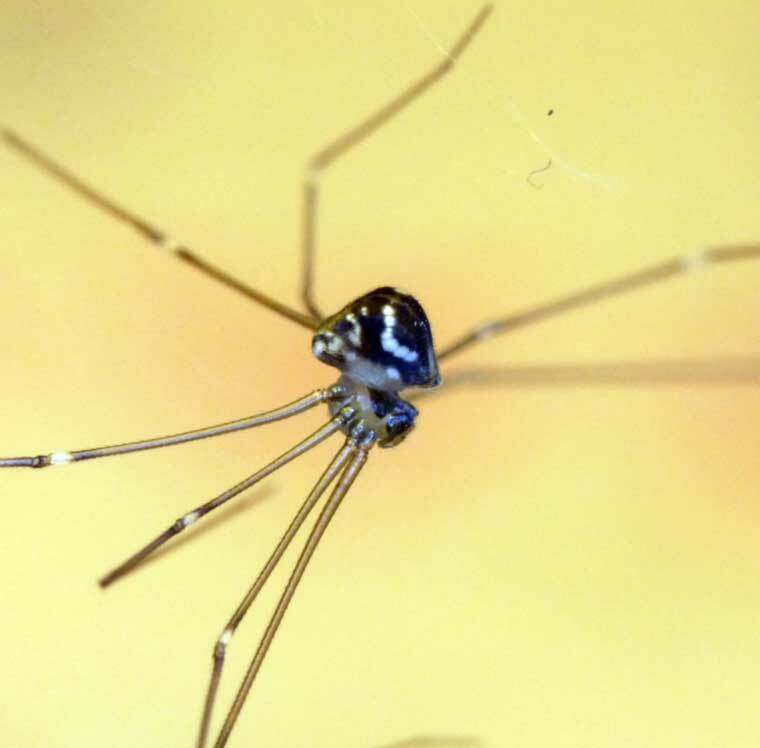 Spiders with small bodies and very long, slender legs, mostly found inside houses and other constructions where they build untidy webs. 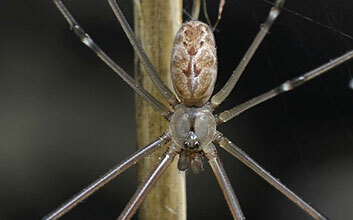 Female body length 9 mm, male 8 mm. Usually in a thin, tangled web attached to ceilings and upper walls of rooms, sheds and caves. A Pholcus collected on an escursion to Venman Park Bushland, October 2010. A small black and white Pholcus from Mount Glorious.